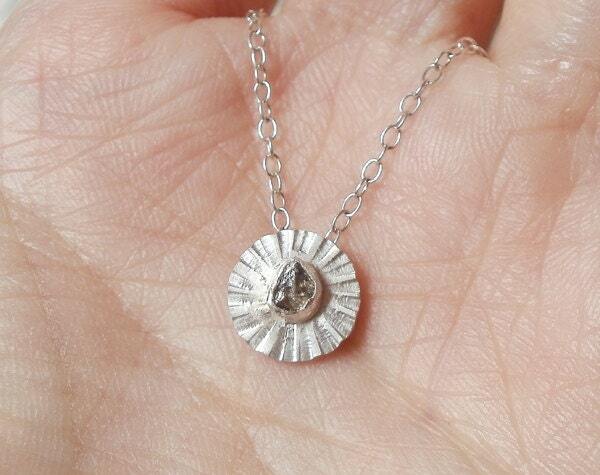 This raw diamond necklace is inspired by daisies. It's handmade at my studio in the UK. 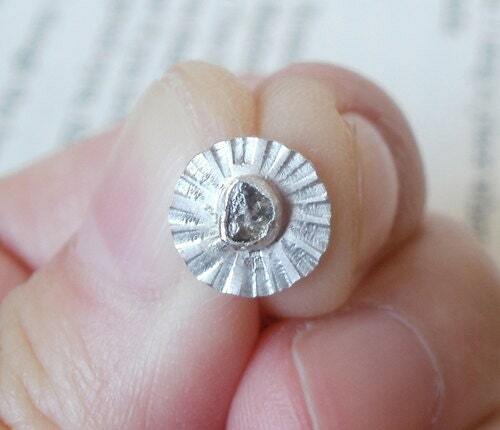 All the rough diamonds I used are in their natural form, untreated and conflict free. What a beauty !!!! A tiny gemstone with a beautiful orange color. 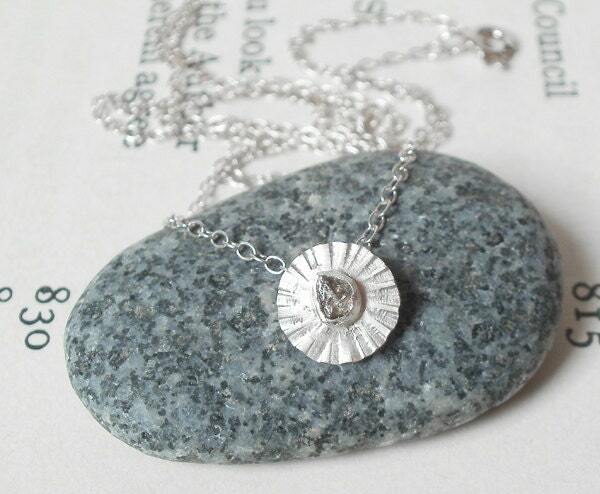 This small pendant is a real treasure ... so dainty with a beautiful finish ! Thank you so much. 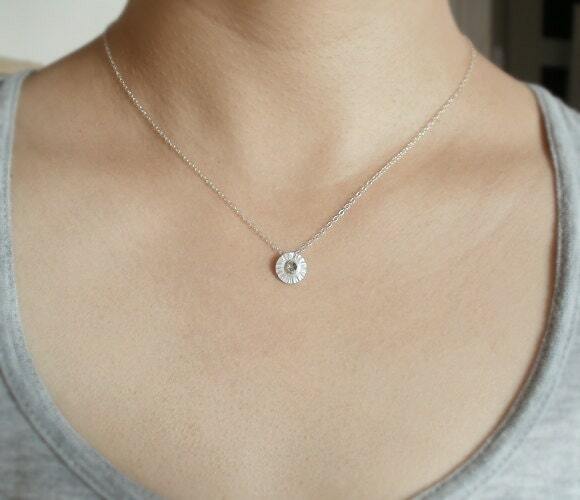 WONDERFUL small necklace ! Unique and original as usual. I'm always surprised with this high quality sterling silver and gemstone and ........ this fantastic finish .... I call it "Huiyi finish" ! Happy new year !